Bow Tie Napkins via One Day Weekends. We aren't ones to really decorate for Father's Day, but these cute bow tie napkins are so easy that it would almost be a crime not to use them at your table next Sunday. It also gives you a good excuse to use plastic utensils which will cut down on your Father's Day clean up! 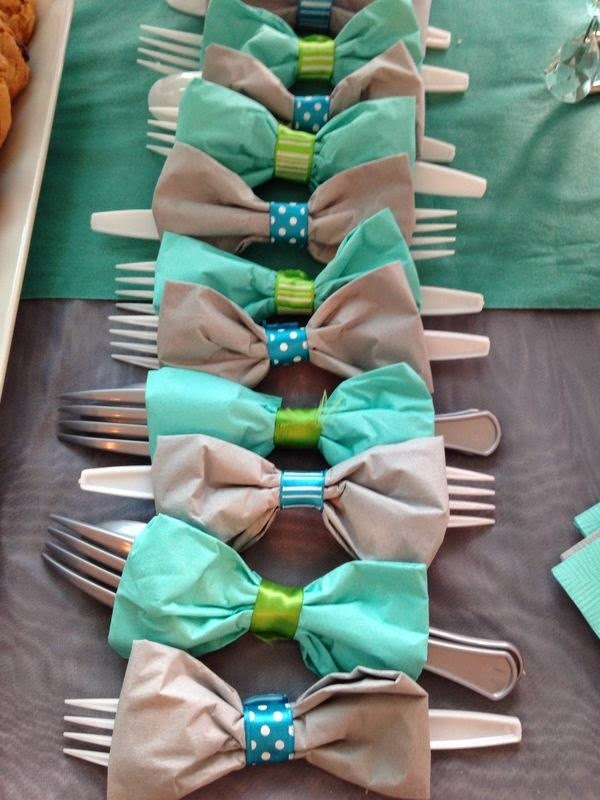 These cute bow tie napkins are floating around Pinterest without a real source. The closest I came was One Day Weekends. Awesome! I love them, what a clever idea!